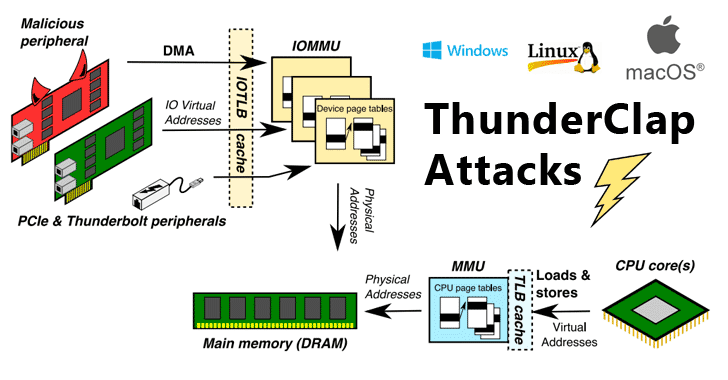 In a paper published earlier this week, researchers detailed technical information of all new vulnerabilities that they claimed to have discovered using a hardware/software stack, called Thunderclap, which they build and also released in the open-source. "Our work leverages vulnerabilities in operating system IOMMU usage to compromise a target system via DMA, even in the presence of an IOMMU that is enabled and configured to defend against DMA attacks," the researchers said. 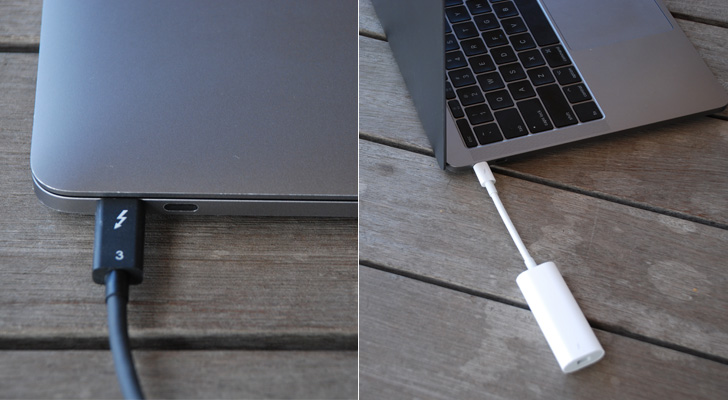 "The rise of hardware interconnects like Thunderbolt 3 over USB-C that combine power input, video output, and peripheral device DMA over the same port greatly increases the real-world applicability of Thunderclap vulnerabilities." "In particular, all Apple laptops and desktops produced since 2011 are vulnerable, with the exception of the 12-inch MacBook. 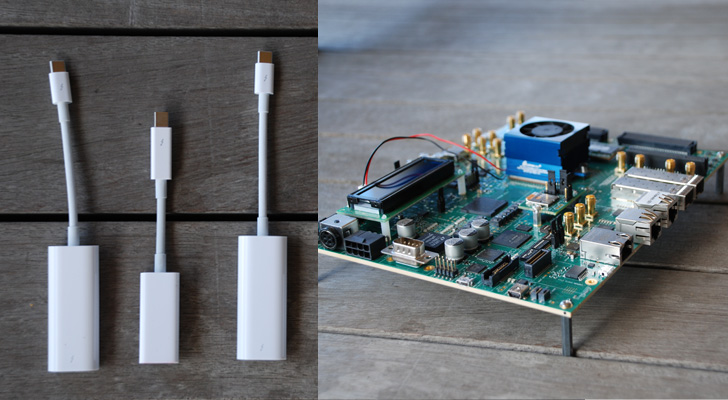 Many laptops, and some desktops, designed to run Windows or Linux produced since 2016 are also affected - check whether your laptop supports Thunderbolt." "In macOS 10.12.4 and later, Apple addressed the specific network card vulnerability we used to achieve a root shell," researchers said. "Recently, Intel has contributed patches to version 5.0 of the Linux kernel." 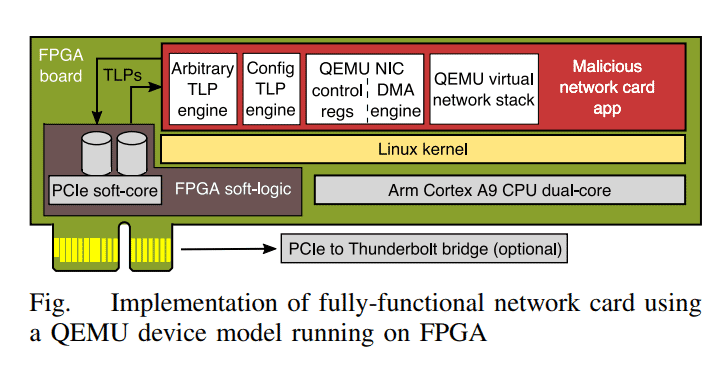 "The FreeBSD Project indicated that malicious peripheral devices are not currently within their threat model for security response."